News – before 2015 | Ferruh Erdoğdu, Ph. D.
I visited the Department of Food Engineering at METU (Middle East Technical University), Ankara to give a presentation on `Virtual Experiments in Food Engineering Education`. Appreciation is extended to Doç. Dr. İlkay Şensoy for the invitation. I was in Uppsala, Sweden for the 28th Effost Conference | 7th Food Factory for the Future. I was invited for an oral presentation on “Smiling face of modeling – food process design with CFD“. I was also invited previously by Lilia Ahrne to be in the International Scientific Committee. The next Effost will be in Athens on November 10-12, 2015, and we are now planning a special session on modeling with the organizer, my colleague Dr. Petros Taoukis. 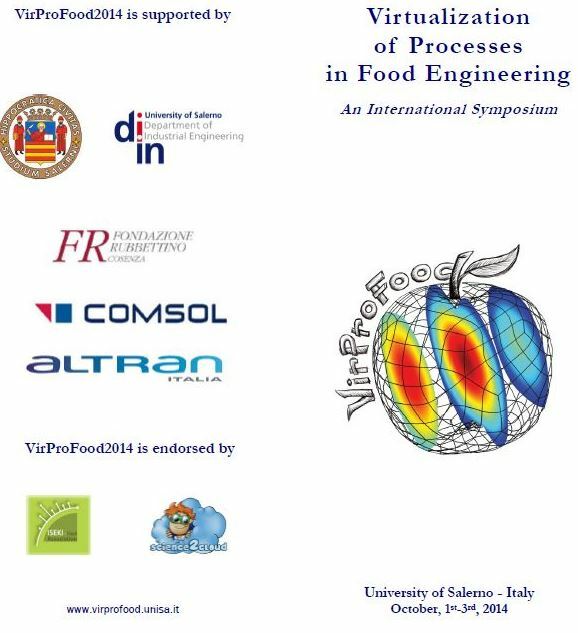 An International Symposium “Virtualization of Processes in Food Engineering” was held at the University of Salerno, Salerno, Italy. This symposium on hard-core mathematical modeling was because of the Dr. Francesco Marra, and on my delight, I was invited to give a talk on ” Optimization in heat transfer during food processing“. I am, as of today, affiliated with the Department of Food Engineering (Faculty of Engineering) at the Ankara University (The First University of the Republic of Turkey). My Ph.D. student, Rahmi will be spending 6 months (February to August) in the University of Salerno (Naples, Italy) with Dr. Francesco Marra under a scholarship from the University of Salerno. He will be continuing with his Ph.D. dissertaion on the `electromagnetic thawing of frozen food products. This research visit is outcome of my collaboration with Dr. Francesco Marra. Our recent project, application of a new industrial design for the production of better quality canned tuna – project no: 113O859, through TUBITAK 1003 – Primary Subjects R&D Funding Program was approved. This project was a collaborative work with my colleague Dr. Bahar Karakaya at the Faculty of Fisheries, Cukurova University, Adana. SUSFOOD (SUStainable FOOD production and consumption) project SUNNIVA was approved in the project lead of Nofima, AS, Norwey with participating countries Belgium, Spain, France, Italy, Norway, Polland and Turkey. I am taking part in this project with GDAR (Ministry of Food, Agriculture and Livestock, Turkey) institute ALATA (with Dr. Ihsan Canan). We -with partners from NOFIMA AS, Norway (Dr. Dagbjorn Skipnes) and MGEP, Spain (Dr. Mustafa Tutar)- will be responsible of WP3 to carry out heat transfer modeling to canned products of tomato and brassica to determine temperature distribution during conventional and novel, agitated retort processing. I was invited to be the Member of EAFE (European Academy of Food Engineering) to represent and serve as EAFE key contact for Turkey. I have spent the summer of 2013 in SIK-Gothenborg, Sweden working with Dr. Lilia Ahrne. The research subject will focus on the mathematical modeling of infrared heating in food processing and optimization of mass transfer kinetics during spray drying. This research visit is outcome of my collaboration with Dr. Lilia Ahrne. In the mean time, my Ph.D. Student, Ziynet Boz, moved to the University of Florida. Ziynet had won a scholarship from the Turkish Fulbright Comission to pursue her Ph.D. in the US in July – 2012. She is now working with Dr. Bruce Welt at the Department of Agricultural and Biological Engineering. – On May. 30 – June 2, 2013 – We (me and my student ziynet) joined the FaBE 2013 Conference in Skiathos Island, Greece. – Romancing with CFD in Food Engineering (invited talk – opening speech. Ferruh Erdogdu. 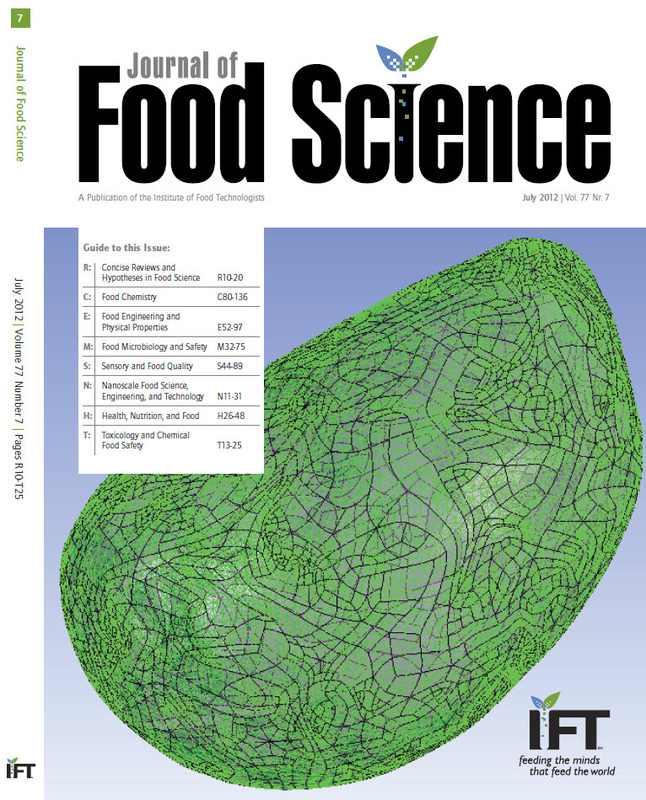 Mathematical Modeling in Food Engineering. Ferruh Erdogdu. Effect of mesh size, time step and numerical solver scheme on determining temperature change by CFD during natural-convection heating of cans. Ziynet Boz and Ferruh Erdogdu. On April 24, 2013 – I gave a short course on the computational evaluation of canning – thermal processing in Bursa with Prof. Dr. Aziz Eksi (Dept. of Food Engineering, Ankara University). This one-day work shop, supported by SALKONDER and hosted by TAT, focused on mathematical procedures to determine the sterilization value (F-value) in canning for engineers/food scientists-technologists working in the industry. – On Nov. 20 – 23, 2012 – We (me and my student ziynet) joined the 2012 EFFOST Annual Meeting “A Lunch Box for Tomorrow : An interactive combination of integrated analysis and specialized knowledge of food” Montpellier – France. [O5.3] Possibility of two-dimensional (2D) modelling of heat transfer and flow field in horizontal cans with solid-liquid food mixtures. Z. Boz and F. Erdogdu. [P1.60] Spherical geometry approximation for heating and cooling of food products with irregular geometries. R. Uyar and F. Erdogdu. [P1.122] Surface pasteurization of shell eggs by infrared treatment. G. Bobus Alkaya and F. Erdogdu. Assisted Food Processing Experiments. Ferruh Erdogdu and R. Paul Singh. I visited the Department of Food Engineering at the University of Ankara (October 10, 2012) and gave a presentation on `Gıda Mühendisliği Eğitiminde Sanal Deneyler – Virtual Experiments in Food Engineering Education`. Appreciation is extended to Prof. Dr. Aziz Eksi for the invitation. My masters student, Ziynet won a scholarship from the Turkish Fulbright Comission to pursue her Ph.D. in the US. She is now in the state of scholarship candidate, and we are expecting her to start her Ph.D. program in the fall 2013. Ziynet is currently involved in our Ph.D. program at the Department of Food Engineering at the University of Mersin. My Ph.D. student, Rahmi is spending the year 2012-2013 (September to August) in the University of Salerno (Naples, Italy) with Dr. Francesco Marra under Erasmus Program. He will be studying `electromagnetic thawing of frozen food products. This research visit is outcome of our Erasmus bilateral agreement with University of Salerno and my collaboration with Dr. Francesco Marra. I visited Leibniz-Institute for Agricultural Engineering Potsdam-Bornim, Germany from late June to the beginning of September, 2012. This research visit was outcome of my collaboration with Dr.-Ing. Oliver Schlüter. 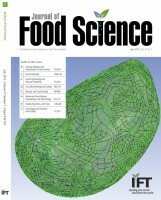 We were on the front cover of the Journal of Food Science, July 2012 issue with an image from our recenlty accepted paper! Erasmus Visit to the Department of Food Preservation and Meat Technology at the nstitute of Chemical Technology, Prague. I visited the Department of Food Engineering at the Ege University, Izmir (May 28, 2012) and gave a presentation on `Gıda Mühendisliği Eğitiminde Sanal Deneyler – Virtual Experiments in Food Engineering Education`. Appreciation is extended to Prof. Dr. Sebnem Tavman for the invitation. I visited the Department of Food Engineering at the University of Gaziantep (March 23, 2012) and gave a presentation on `Gıda Mühendisliği Eğitiminde Sanal Deneyler – Virtual Experiments in Food Engineering Education`. Appreciation is extended to Prof. Dr. Fahrettin Gogus for the invitation.